Hyundai rises above other manufacturers by offering cars that combine everyday convenience and safety with stylish design and rare reliability. With recent innovations in their lineup, there’s never been a better time to get behind the wheel of a Hyundai from Parkway Hyundai in Wilmington, North Carolina. We’ve included some comparisons to show how Hyundai stacks up against competitors. Though both the new Honda Civic and the new Hyundai Elantra are quality cars, the Elantra pulls ahead with more convenience features and a better warranty. An 8” touchscreen, a hands-free smart trunk, and brighter HID headlights add value to the Elantra. You will also enjoy the peace of mind of Hyundai’s 10-year powertrain warranty, which is twice as long as Honda’s. 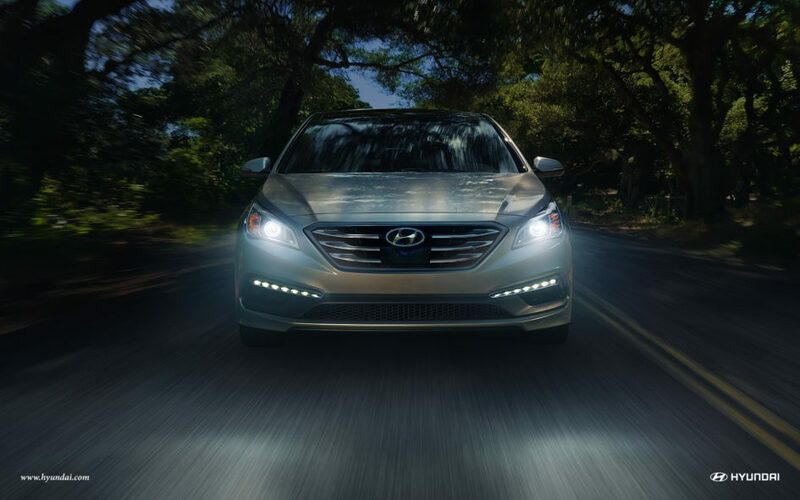 The Hyundai Sonata packs more space, more features, and better performance when compared to the new Toyota Camry. Features like available Android Auto and an optional panoramic sunroof are sorely missed in any of the Camry’s trims. The Sonata also outperforms the Camry with 185 horsepower. All this would be hard to overlook, but the Camry’s more expensive price tag makes the choice clear. Buying a Hyundai is the obvious choice. Which Hyundai you should get is less obvious. Hyundai has an impressive lineup of vehicles. Here’s a helpful guide to decide which is the best pick for you. Both the Tucson and the Santa Fe offer comfort, convenience, safety, and versatility. The Tucson is the smaller of the options, but comes with a lower price tag, and better fuel economy, offering two ways to save. If you prefer a larger vehicle with more cargo space and a more powerful V6 engine, the Santa Fe is the best choice for you. Although the size difference is not as dramatic as the difference between the Santa Fe and the Tucson, the Santa Fe Sport still edges out the Tucson with more cargo and passenger space. With a lower MSRP and superior gas mileage, the Tucson is an excellent choice for everyday commuting. Both vehicles offer plenty of standard and optional tech features, like Android Auto™ and available Smart Cruise control. Both versions of the Hyundai Santa Fe come with newly upgraded looks, three available powertrains, and unique drive modes. Their key difference lies in their sizes. The larger of the two, the Santa Fe, features a powerful V6 engine, making it the best choice for a larger family. The Santa Fe Sport makes up for its smaller size with a lower MSRP. Hyundai has made two of the best sedans on the market with the Elantra and the Sonata. Both have a thoroughly modern, sleek design, smartphone connectivity, and impressive performance. The Sonata is the larger of the two, with a best-in-class 122.4 cu.ft. of interior space. This size comes with a more powerful engine and a higher price tag. The only way to be sure which Hyundai is right for you is to get behind the wheel with a test drive at Parkway Hyundai in Wilmington, North Carolina. Contact us at (844) 846-7898 to learn more about our lineup.